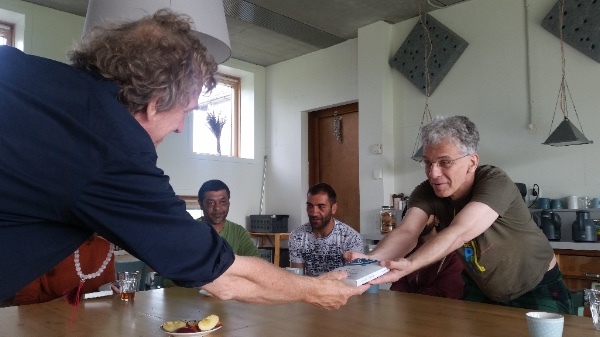 Donations to FutureDharma have brought Roma Buddhists from Hungary together with those from Belgium, India and Holland. Metta Vihara Retreat Centre recently hosted a unique Bodhisattva Ideal retreat, connecting Sangha members from across the world. Hungarian gypsies, known as the Roma community, have a deep connection with the Dalits of India. Both communities are segregated, unable to get access to education or employment, and are treated like lesser humans. Buddhist Romas are few and far between, isolated, and lacking a Sangha which makes it incredibly difficult to cultivate friendships. 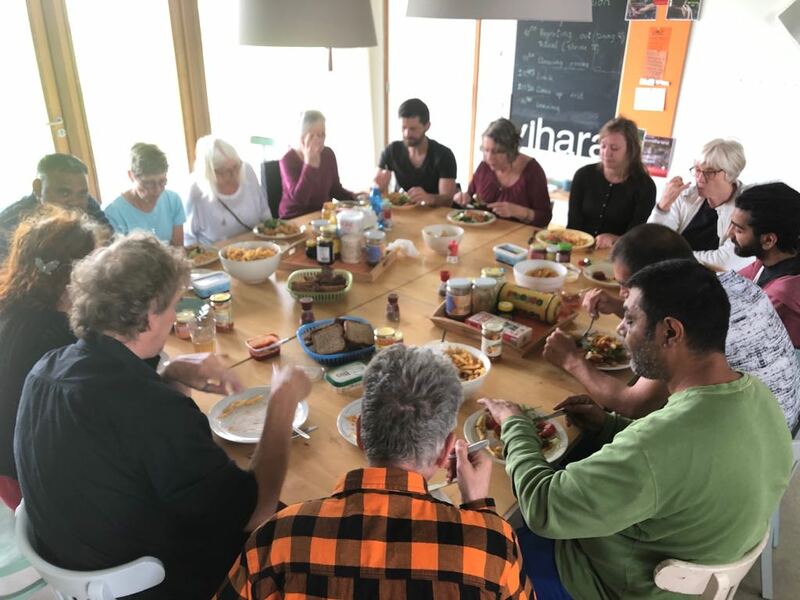 Just like the Indian Dharma Revolution gave a voice to the Dalits and inspired a mass human rights movement, the Hungarian branch of the Triratna Community has developed the ‘Jai Bhim Network’. Subhuti has been making regular visits to encourage the community over the years and the Dr. Ambedkar High School has been built. Some of the Roma are now in university. Positive changes are happening fast. This year, gifts from FutureDharma donors allowed four Hungarians to fly to Holland, encouraging international bonds of Kalyana Mitrata to deepen. Tibor, headmaster at Dr. Ambedkar High School, Janos, President of the Jai Bhim Network, Laci and Beno joined Maitriveer-Nagarjuna (India) and Arthakusalin (Belgium) who led the retreat. For Janos, it was the first time he’d been on retreat where he felt he could just be himself, and what they learnt about Bodhicitta was a great step on their spiritual path. It was a gift to find his own voice, to express himself and to be heard, and they hope that more retreats like this can take place. As a result of the retreat, Tibor wants to develop this Hungarian Dharma Revolution, and encourage the cultivation of Metta, as it’s all too easy for Romas to fall into frustrated, negative and resentful mental states. At FutureDharma, we want to raise more money for projects in Hungary that draw Roma Buddhists into the wider Triratna Sangha, such as translating ‘Living with Kindness’ into Hungarian. Thank you for being a part of making this new Dharma Revolution possible. Have a look at the short film below to get a sense of what the retreat was like, and how powerful its effects.